June 7, 2018 April 14, 2019 - The 'Noms. 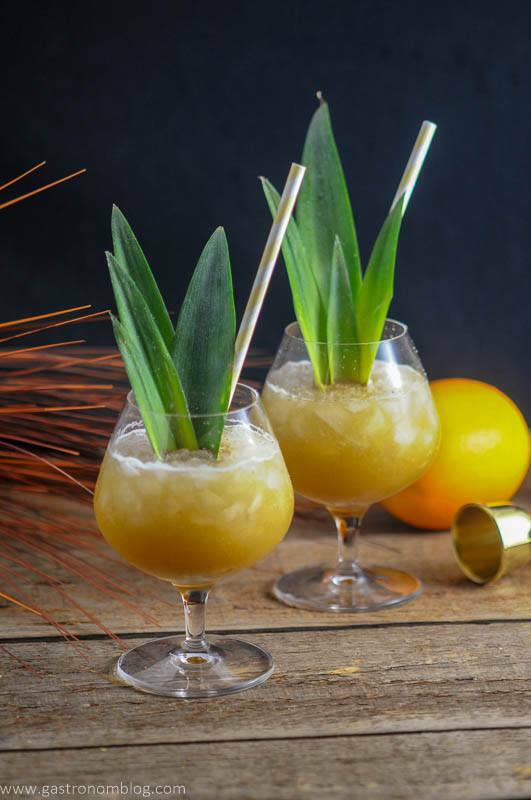 What’s better than a twist on a classic tiki cocktail than adding MORE coconut as in this Coconut Rum Painkiller? 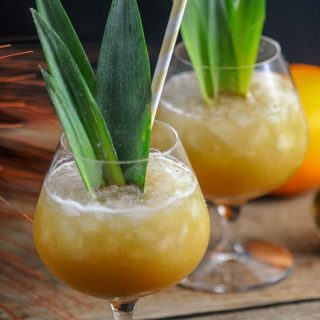 When summer rolls around and the warm evenings makes you feel like you are on a tropical island, you definitely need a cocktail that fully embraces the tropical vibe! 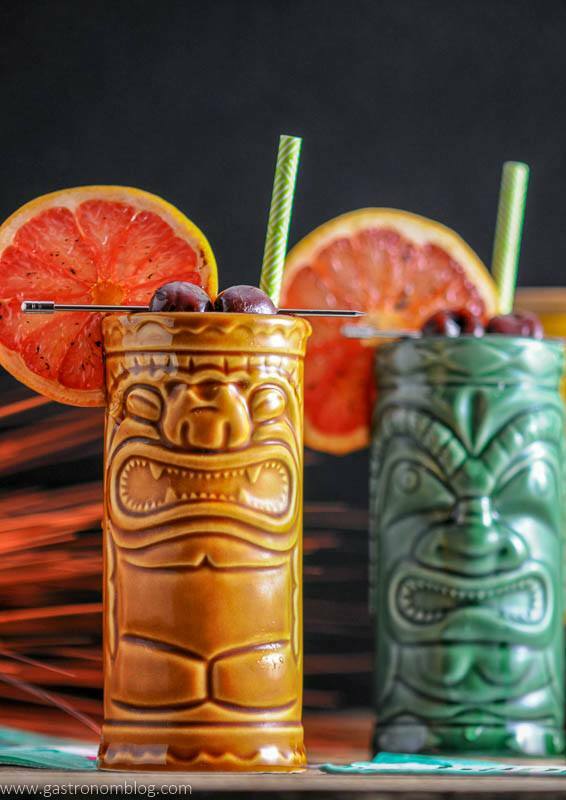 What better way than a Tiki cocktail? 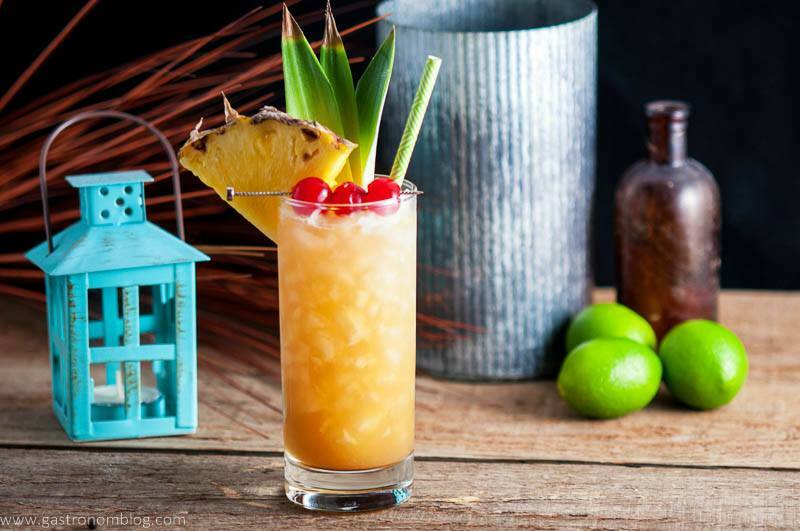 We take classic tiki flavors like coconut, pineapple and rum and a little bit of inspiration from the classic Tiki cocktail, the Painkiller, to make a great tropical sipper, the Coconut Rum Painkiller! What about the Painkiller Cocktail? 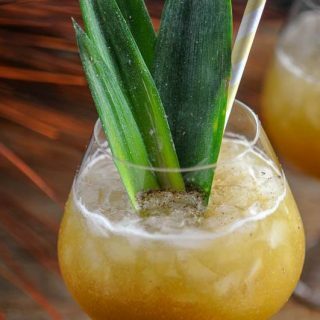 The original Painkiller cocktail is truly a tropical cocktail, hailing from the famous Soggy Dollar Bar in the British Virgin Islands. Bartender Daphne Henderson was working in the early 1970’s at the little bar overlooking White Bay. Customers had to swim up to the beach as there is no dock for their boats! Looking for a way to cure what ailed her customers (apparently there is indeed trouble in paradise, maybe all that swimming to a bar and soggy money!) She came up with the Painkiller, a creamy, citrusy riff off of another coconut cocktail, the pina colada. The Painkiller is one of those great tiki cocktails that starts out with rum. 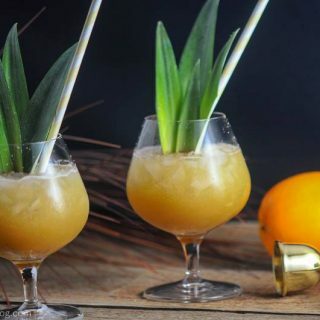 Then and adds in a little pineapple juice, orange juice and rich coconut cream to make a smooth tangy cocktail that adds just a splash of sunshine to a cocktail glass that chases your blues away! What is the history of the Painkiller? The true original recipe isn’t truly known as Daphne Henderson didn’t share her exact proportions. One of her good friends and fellow bartenders decided that he had a version that was close enough. After winning a taste contest versus Daphne, he took his recipe on the road to try to earn some money from his new found fame. He soon sold his recipe to Pusser’s Rum who soon trademarked the recipe. They did gave Daphnie Henderson the credit while letting the rest of us know a recipe! What Ingredients are Needed for the Coconut Rum Painkiller? 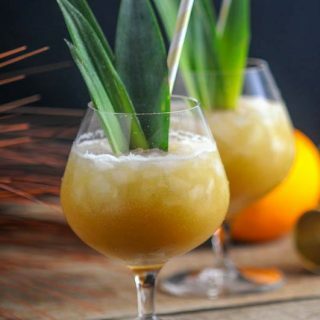 For our version of the Painkiller, the Coconut Rum Painkiller, we decided to embrace one of the tiki techniques and layer two different types of rum into a single cocktail. 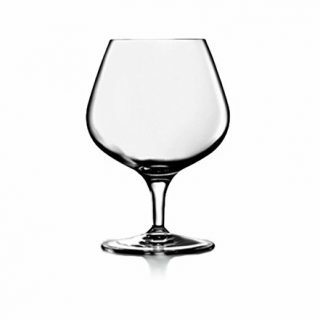 Mixing two different types of rum gives a cocktail a more complex flavor and uses the different rums to bring the best of each style to the drink. In the case of our Coconut Rum Painkiller, we combined the rich caramel flavors of a dark rum with an equal part coconut rum. AKA why this is the Coconut Rum Painkiller! This brings a tropical warmth to the cocktail. What flavors did we use? Of course a true Tiki drink like the Coconut Rum Painkiller needs another tropical flavor to support it. We wanted to stay true to the original Painkiller recipe we turned to fresh pineapple juice. 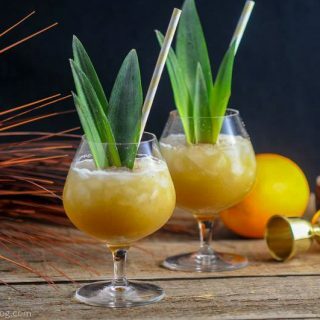 Pineapple juice gives this cocktail a nice tangy flavor while adding a bit of sweetness and a bit of golden color to the drink. The original recipe calls for coconut cream, but since we had the coconut rum that bright the coconut flavor of the original with out the thickness that the coconut cream brought to the original! Served over ice, the Coconut Rum Painkiller is one great cocktail to sip on a hot day! The Coconut Rum Painkiller is the boozier version of the classic Painkiller. 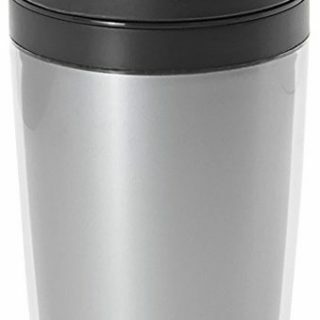 Add rum, pineapple juice, orange juice and allspice dram to the shaker. PIN THIS COCONUT RUM PAINKILLER RECIPE FOR LATER! Thank you so much! We love the flavors in this one, cheers! I have yet to make a tiki cocktail OR use pineapple leaves as a garnish. This drink looks SO good. You totally should! 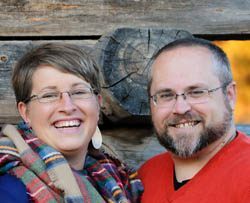 They are now a favorite of ours, and we highly recommend this one! Cheers! Alright…..so the sounds of this drink take me right back to our honeymoon in Hawaii….almost 41 years ago!! Coconut and pineapple is such a wonderful pairing. Add the rum…..well sit back, soak up some sun….and ENJOY!! 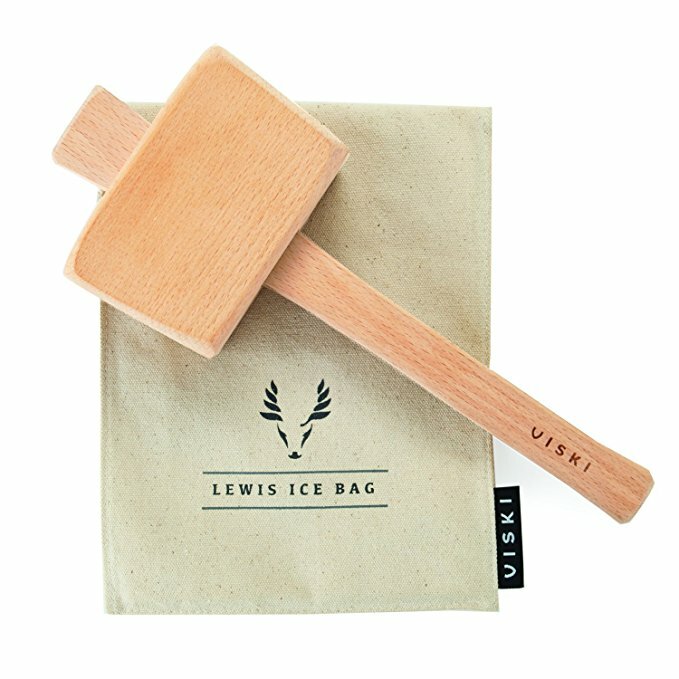 Perfect for BBQ parties ALL summer long. Lucky you, honeymoon in Hawaii! Yes, the flavors are certainly tropical and so good! Can’t wait to have these all year! The flavours of this cocktail sound phenomenal. So delicious and so tropical. It’s like a vacation in a glass! And also, I love the little history lesson about the Painkiller cocktail. Thanks for sharing! Thanks so much! We love to learn the history of cocktails, and then it helps us tweak them to what we want! Cheers! What a delicious sounding cocktail!! Yes, indeed!! I can picture me sipping on this with the tropical breezes blowing. YUM!! I love the story behind the drink. It’s so interesting how people create a dish or a drink. Will have to try this one out. Haha, right?! I want to be on a beach with this one! We love finding the history of a drink, it’s so interesting! I rarely have experienced the libations you create on your site — but this one I have had. I was in the BVI last year (before the hurricanes) and we went to the Soggy Dollar and had this drink (I still have my comemorative cup). This is a true painkiller — after it was consumed I spent an hour floating on my back in the Caribbean completely oblivious to the world around me. LOL! That’s so funny! I am glad you got to try a real one, and I promise you would like our other cocktails, too! I love the addition of pineapple juice to this. I love how tangy it is and that it’ll always hit the spot. I’ll have to try this at my next dinner party! Pineapple is such a fresh flavor, and I love it in cocktails! Hope you try it out, cheers! This is basically a more sophisticated version of what I drank in my early 20s! So fruity, tropical, and tasty. It’s been so so hot here — I could totally go for something like this right now. LOL! Yes, it’s a classy cocktail, but it does have 2 rums….haha! Hope you try it out! 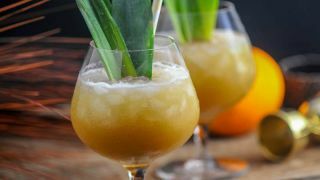 I would love love love to be served one of these – I only really like rum in tropical drinks so this totally speaks to me! I’ll have to visit the Soggy Dollar one day but until then, I’ll try this drink on a sweltering hot summer day. Oh, it’s on my list, too! Someday…… I hope you try this one at home though, maybe it will transport us away! Now this is my kind of drink. I am useless with making cocktails, but this one just screams tropical island and I can totally get on board with that. 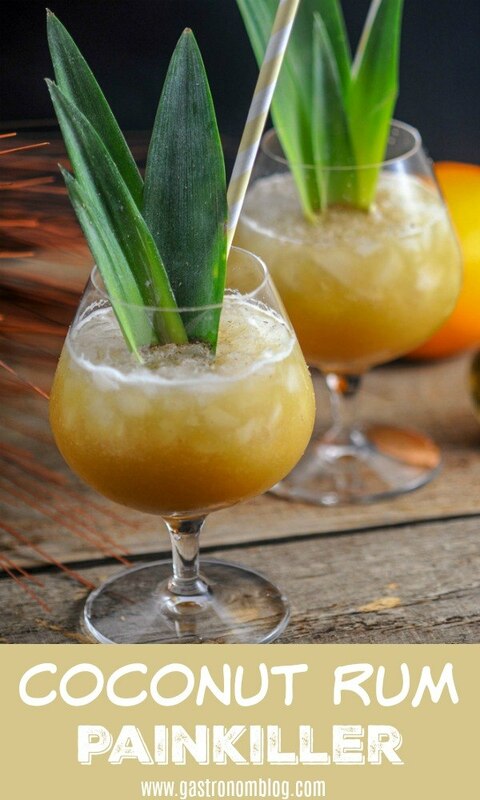 Love the pineapple/coconut combination and cant wait to be sitting sipping once of these on the back porch during the summer heat. This is totally a tropical summer drink. It’s super easy and so flavorful. Hope you try it out, cheers! I love everything about this cocktail! (Are you tired of hearing me say that about your cocktails? Haha. It’s true for all of them!) The combination of flavors in this one and the presentation are all SO fun. This is just ready for a party at my pool. I love that you shared the history of the cocktail, too. I find these stories so interesting! I think I need to try one of these very soon…to keep my spirits up until I head to Hawaii in March! We can’t wait to be warm instead of in this snow!